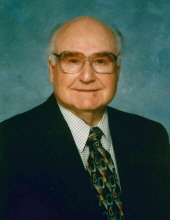 Mr. Edwin Jones Canter, age 97 of Moravian Falls, passed away Tuesday, December 04, 2018 at Camden Nursing and Rehab in Greensboro. Funeral services will be held 11:00 AM, Friday, December 7, 2018 at Wilkesboro United Methodist Church with Rev. Karen Roberts officiating. Burial with Funeral Honors by the Brushy Mountain Marine Corps League Detachment 1187 will be in Mountlawn Memorial Park. The family will receive friends from 6:00 until 8:00 Thursday evening at Reins Sturdivant Funeral Home. Mr. Canter was born December 31, 1920 in Wilkes County to Grady A. and Mae Hayes Canter. He graduated from ASU with a BS and MA Degree. He retired from the Wilkes County School System where he worked as a Teacher and Principal. He was a member of Wilkesboro United Methodist Church. Edwin Jones Canter was a Corporal in the Marine Corps in WWII. Canter was wounded by sniper fire on Iwo Jima and a little while later was wounded by shrapnel as two Marines carried him out on a stretcher. The Coast Guard motion picture crew were killed filming this action. The incident was captured on movie film and featured briefly in “The Sands of Iwo Jima,” a movie starring John Wayne and the Tom Hanks miniseries “The Pacific”. He also saw action on Tinian and Saipan. For his actions in WWII, in addition to his Purple Heart, his Marine Corps decorations include presidential unit citations for Saipan, Tinian and Iwo Jima; Navy unit commendation for Iwo Jima; and the Asiatic-Pacific Campaign ribbon with four stars. He was a member of the Brushy Mtn. Ruritan Club, former member of the Brushy Mountain Fire Department and a member of the Brushy Mountain Marine Corps League. He was preceded in death by his parents, his wife; Ruth Bridges Canter, two sisters; Wilma Bennett and Mildred Canter and three brothers; Pete Canter, Reginald Canter and Jay Canter. Mr. Canter is survived by a daughter; Rachel Yarbrough and husband, Jack of Greensboro and two grandchildren; Ryan Yarbrough of Greensboro and Rebecca “Scout” Yarbrough of Alexandria VA and a large number of nieces and nephews. Flowers will be accepted or memorials may be made to Wilkesboro United Methodist Church PO Box 197 Wilkesboro, NC 28697. To send flowers or a remembrance gift to the family of Edwin Jones Canter, please visit our Tribute Store. "Email Address" would like to share the life celebration of Edwin Jones Canter. Click on the "link" to go to share a favorite memory or leave a condolence message for the family.